Apple released its latest iPhone earlier in September 2012. This thinner, lighter and more intelligent iPhone had yet again created excitement within Apple fans around the world. Thousands of iPhone users had pre-ordered iPhone 5 even before it’s launch, without even having knowledge about their purchase terms. Even now, people outside North America may be importing iPhone 5 from the US, and trying to get it jailbroken; especially because it is available at a lower price. But things have changed with the release of iPhone 5. This article focuses on a few key points you should know about before you consider buying an iPhone 5. The Apple iPhone 4S came in one global variety with a support for both GSM and CDMA networks. It could thus support multiple carriers, and was even officially promoted by several mobile networks outside the US. The iPhone 5 on the other hand comes in three different flavors. Model A1428 (GSM): This is a GSM version of the iPhone which is meant for the consumers of North America (US and Canada) only. It is capable of operating at LTE speeds (4G) and uses LTE bands 4 and 17. Users who buy this model will be limited to use specific mobile carriers (like AT&T in the US) only. This variant is exclusive to North America and will not operate on other networks. Model A1429 (CDMA): This is a CDMA model and supports LTE carriers Sprint and Verizon in the US and KDDI in Japan. It operates on LTE bands 1, 3, 5 and 13 used by Verizon, and band 25 used by Sprint. As the model uses some of the bands common to some other carriers in Europe and Asia, this iPhone 5 model can be considered as a typical CDMA World Phone. But Apple has also pointed out that band support does not necessarily mean support for all LTE networks operating on the same bands. However, a recent blog post suggests that Apple has left the CDMA SIM slot unlocked for some GSM carriers too. The editor of the blog claims that he has successfully slipped his AT&T GSM SIM into his Verizon enabled CDMA iPhone and successfully connected to AT&T provided LTE network with decent speeds. Model A1429 (GSM): The third variant, which is a GSM device, supports LTE bands 1, 3 and 5 and is especially meant for Apple fans residing outside the regions mentioned above. This is the World Phone released for the rest of the world. Being a GSM model, this variant is compatible with most of the operating networks around the world. And in places where LTE is not yet available, users will be automatically switched down to 3G speeds. 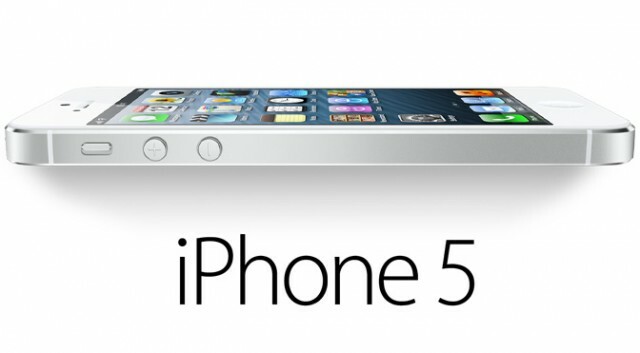 Apple iPhone 5 is available in the US at prices starting from $199. But this considerably low price comes along with some strings attached. First, the price is applicable for customers living in the US only. Second, in order to avail the special price, customers have to agree to a contract of minimum 2 years with a specific service provider, choices including AT&T (GSM), Verizon and Sprint (CDMA). Earlier, with the iPhone 4S used to work on both GSM and CDMA networks simultaneously. Users could therefore switch between networks easily. The iPhone 5 comes in separate GSM and CDMA models in the US, each of which operates on totally different LTE bands supported by different service providers. This means, you are more or less stuck with one mobile carrier service only. However, Apple is also selling an unlocked version of iPhone 5 in the US. This version relieves users of the two year contract. This version can operate with any mobile service carrier around the world and is actually the A1429 GSM model which is being shipped worldwide. The unlocked version of the iPhone is available at a higher price range starting at $699. Now that the “World Phone” is globally available, Apple has decided to make some changes with their security policy. If you are planning to buy the official locked version from the US and unlock it via jailbreak (After all, it’s a lot more cheaper right? ); think again! You may end up disabling cellular services in your phone and be left with nothing more than an iPod touch, or even worse, brick your phone. Users outside North America are recommended to use the global contract-free unlocked version which is available for a high price. Apple – iPhone 5 – View countries with supported LTE networks.